Retired U.S. Forest Service fire chief Jeanne Pincha-Tulley, second from right, is among the inspiring women leaders encouraging women to aspire to be wildland fire managers at the Women-in-Fire Prescribed Fire Training Exchange. Shortly after her son was born, Jeanne Pincha-Tulley was promoted to fire chief of a national forest. For the first six months, she brought the baby to work. 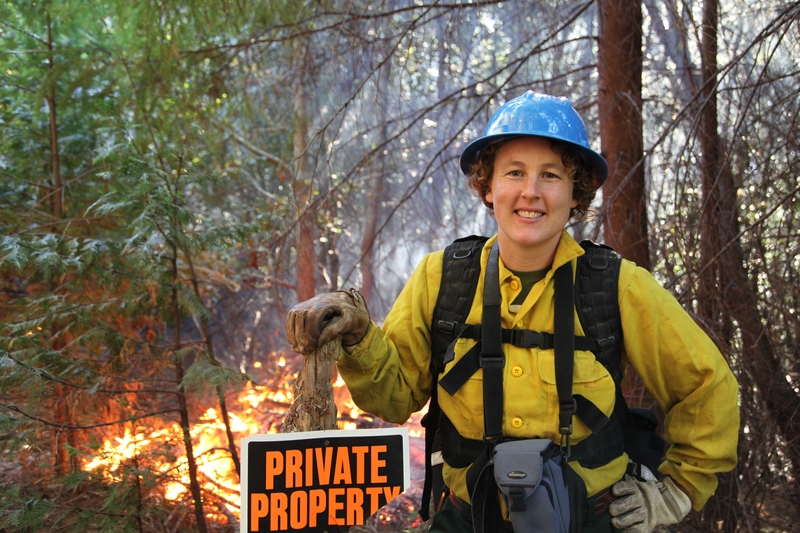 While great efforts are being made to recruit women into fire management, women hold only 10 percent of wildland fire positions and 7 percent of leadership roles. A new training focuses on grooming women to lead in fire management. To encourage to women build stronger networks and pursue leadership roles in fire management, Pincha-Tulley, who retired in 2015 after 36 years with the U.S. Forest Service, will be speaking from experience on gender roles at the Women-in-Fire Prescribed Fire Training Exchange (WTREX) in Northern California. She will also serve as deputy incident commander for the event. WHO: Participants from 12 states and four countries, including 38 women and six men, who work for federal and state agencies, non-governmental organizations, tribes and universities. Organizers include Pincha-Tulley, Lenya Quinn-Davidson, UC Cooperative Extension wildland fire advisor and director of the Northern California Prescribed Fire Council; and Amanda Stamper, The Nature Conservancy fire management officer in Oregon, among others. Guest speakers include Sarah McCaffrey, USDA Forest Service research social scientist; Johnny Stowe, forester/biologist/yoga teacher/fire manager of the South Carolina Department of Natural Resources; Gwen Sanchez, deputy fire chief for the Shasta-Trinity National Forest, and many more. WHAT: WTREX participants will serve in qualified and trainee firefighting positions to implement prescribed burns throughout the region. They will complete pre- and post-fire monitoring, train with equipment, practice fireline leadership skills and learn about local fire ecology and fire management. WHERE: The training will take place in Trinity and Shasta counties. Sites include open prairies, oak woodlands, mixed-conifer forests and chaparral. Field trips will be made to areas burned in recent wildfires and to prescribed fire and fuels treatment project sites. WHEN: Oct. 19-28, beginning in Hayfork, ending in Redding. Burning and other outdoor activities will depend on the weather. DETAILS: The 12-day hands-on prescribed fire training, modeled after prescribed fire training events that take place across the country, will include beginners to seasoned professionals. The difference is that most of the participants are women. Women hold only 10 percent of wildland fire positions and 7 percent of leadership roles. Based at the Tahoe National Forest, Pincha-Tulley oversaw 1.6 million acres, including fire suppression, prescribed fire and aviation operations. As the only woman among the 17 national Incident Commanders, Pincha-Tulley looked for allies and mentors. In 2005, the year she was promoted to Type 1 Incident Commander, she led her team to Mississippi to assist in the aftermath of Hurricane Katrina. She was essentially invisible to the Air Force generals and Navy admirals until she put general stars on her uniform. A NASA director, a man, coached her, saying, “Are you going to let them take over the meeting? You're their peer, make yourself one.” He proceeded to mentor her, based on NASA's training for women in management. “When you look for those people who can help, you begin to attract them,” Pincha-Tulley said. 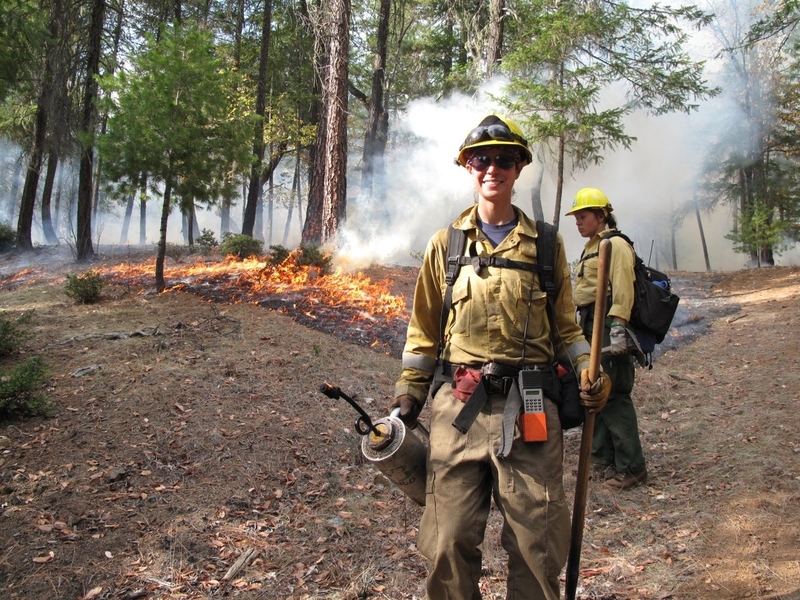 One of the primary goals of the Women-in-Fire Prescribed Fire Training Exchange is to connect women who work in fire, providing them with new networking and mentoring opportunities. WTREX is co-hosted by eight primary partners as well as additional collaborators. 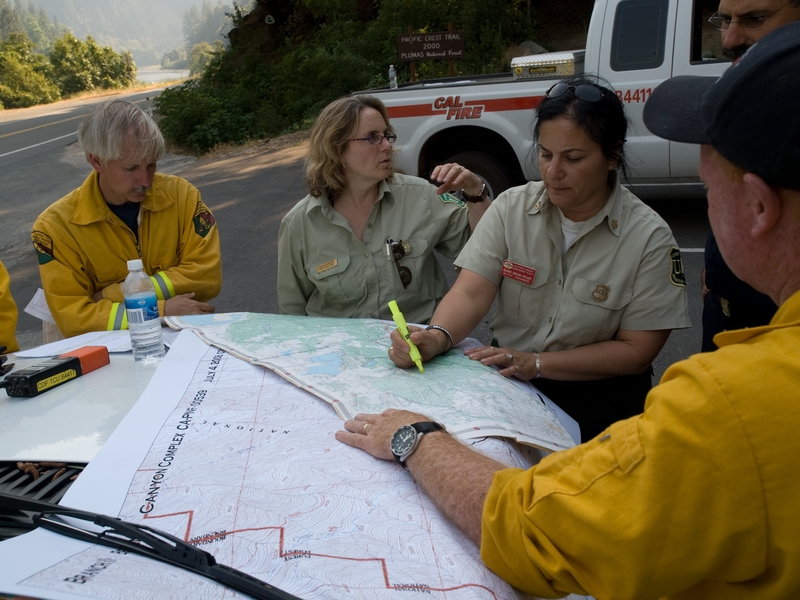 These include the Northern California Prescribed Fire Council, the Fire Learning Network, the Cultural Fire Management Council, the Watershed Research and Training Center, the Bureau of Land Management, the USDA Forest Service, the California Fire Science Consortium, University of California Cooperative Extension, and other collaborators. WTREX is supported by Promoting Ecosystem Resiliency through Collaboration: Landscapes, Learning and Restoration, a cooperative agreement between The Nature Conservancy, USDA Forest Service and agencies of the Department of the Interior. I wish I could attend one of these events! Had I known about it sooner I would have tried. Susan, I'm sorry you didn't find out sooner. If you drop an email to Lenya at lquinndavidson@ucanr.edu, she can let you know when the next training is scheduled. I would like to attend your next one. Would you contact me free next upcoming events? I would like to know when you will be having your next training. Thanks for your interest, Fanny. We'll put you on our mailing list for the next WTREX. Would like you attend the next WTREX training and added to email list please! Cool! We'll add you to our WTREX mailing list Hayley.